What Effect Does Consuming Tree Nuts Have On The Mortality Rate Of Prostate Cancer? You are here: Home / Mens Health / What Effect Does Consuming Tree Nuts Have On The Mortality Rate Of Prostate Cancer? A recent study from Harvard Medical seems to suggest that regular consumption of tree nuts such as almonds, walnuts, Brazil nuts, pistachios and cashews as part of daily diet can reduce the mortality risk of prostate cancer. 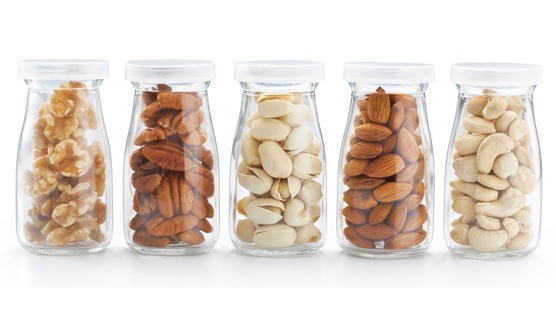 Previous studies on the subject suggested that a healthy diet and lifestyle, including the frequent consumption of nuts, can have a protective effect. Researchers found that walnuts in particular seemed to significantly lower the risk of developing a tumor. In the newest study, recently published in the British Journal of Cancer, has revealed that patients suffering from prostate cancer who consumed 1 ounce of tree nuts four to five times per week were 34 percent less likely tot die of the disease. The results come from the largest study ever conducted into the effects of a nut-rich diet on prostate cancer. For the purpose of their study, researchers followed more than 47,000 men over the course of 26 years. Out of those, 6810 incidents of prostate cancer were reported, with 4,346 men diagnosed with non-metastatic prostate cancer. Only ten percent of the patients with prostate cancer died from cardiovascular diseases over the period of the study. Researchers said this suggests that although eating nuts is not linked to being diagnosed with prostate cancer, it may still improve the overall survival rate of patients. Most of the nut-eaters involved in the US study primarily ate peanuts but the health benefits seemed to apply to any type of nut. According to the study, the ability of tree nuts to improve insulin sensitivity help to prevent insulin resistance, a condition in which the cells of the body become resistant to the hormone insulin and is believed to be involved in the development and progression of prostate cancer. Tree nuts have been associated with improved insulin sensitivity and reduced risk of diabetes, cardiovascular disease and total mortality. Nuts contain important nutrients such as unsaturated fats, high quality protein, vitamins (i.e., vitamin E, folate and niacin) minerals (i.e., magnesium, calcium and potassium) and phytochemicals–all of which may offer cardioprotective, anticarcinogenic, anti-inflammatory and antioxidant properties.